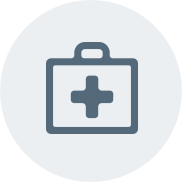 On March 15, 2019, the Centers for Medicare and Medicaid Services (CMS) approved Ohio’s Medicaid 1115 waiver, allowing the state to implement work requirements for certain Medicaid recipients. On June 29, 2017, the Ohio General Assembly enacted House Bill 49, which required a new eligibility condition for the adult Medicaid expansion population known as Group VIII. In implementing House Bill 49, the Ohio Department of Medicaid developed a work and community engagement requirement for this population, and subsequently submitted a section 1115 Demonstration waiver request to the Centers for Medicare and Medicaid Services (CMS) to implement the Work and Community Engagement requirement statewide on April 30, 2018. CMS approved the waiver on March 15, 2019. With approval of this demonstration, Ohio will require, as a condition of continued eligibility, that non-exempt beneficiaries ages l9 through 49 engage in qualifying community engagement activities (e.g., work requirement) for at least 80 hours per month. The work requirement provisions are set be effective form March 15, 2019 through February 28, 2024. However, the state intends to implement the work requirement provisions on January 1, 2021. To remain eligible for Medicaid coverage, non-exempt beneficiaries must complete at minimum 20 hours per week (80 hours averaged monthly) of community engagement activities and report compliance on an annual basis. Non-exempt beneficiaries may satisfy this requirement through a variety of qualifying activities, including but not limited to: employment; self-employment; unpaid work, including formal and informal volunteer, community service, and public service activities; education and training activities, formal and informal job search or job readiness programs (for no more than 30 days per calendar year unless combined with another qualifying activity and less than half the required hours is spent in job search or job readiness programs or job search is the only activity completed); or participation in and compliance with SNAP or TANF work requirements. Ohio will notify beneficiaries of their need to participate in community engagement activities as a condition of continued coverage and eligibility, and non-exempt beneficiaries will have 60 days post notification to report their compliance with the requirement. If a beneficiary does not report within the 60 days that they are completing a qualifying activity, meet the criteria for an exemption, or experience a good cause circumstance, the beneficiary will be considered non-compliant and be disenrolled from Medicaid. If unenrolled, beneficiaries will have the option of applying to re-enroll in Medicaid immediately. Prior non-compliance will not be a factor in any future determination of Medicaid eligibility. Beneficiaries will be automatically re-enrolled if 1) they are determined to be eligible for Medicaid in a category that is not subject to the work requirement, 2) they are determined to quality for an exemption from the work requirement, or 3) they can demonstrate good cause for failing to meet the requirement. In addition to instituting a work requirement, Ohio requested to receive federal matching funds for certain support services (e.g., transportation) to assist beneficiaries in meeting the work requirement. CMS did not approve this request. However, the agency offered to provide technical assistance to help the state determine whether costs to update state systems or other state administrative activities needed to implement the demonstration may be federally matchable.